This is the original Cemetery and has the graves of some of the well-known Indians of the area. 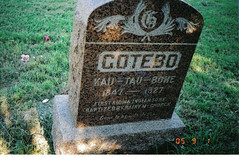 4 miles east of Gotebo on Ok 9, 2 1/2 miles south on pavement, Old Cemetery just west of the Rainy Mountain Church. 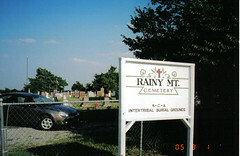 Part of this cemetery is located on the west side of the road west of the Old Cemetery. 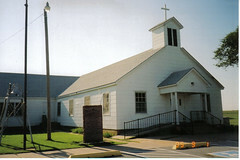 Both Old and New are Kiowa-Comanche-Apache Intertribal Cemeteries. Note: The New cemetery is located east of Old Cemetery on the north side of the Church. (no Photo's). 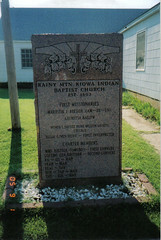 Kiowa - Comanche - Apache Intertribal Cemetery, Old Rainy Mountain Indian Mission Cemetery. 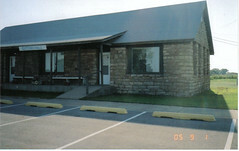 Located West of the Rainy Mountain Baptist Indian Mission Church, about 2 miles west, 2 1/2 miles south of Mountain View, on the left. There are a number of graves marked but with no names. 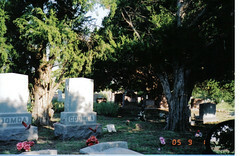 This is the original Cemetery and has the graves of some of the well-known Indians of the area. 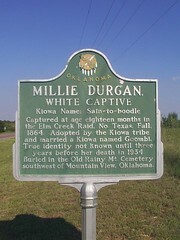 Millie Durgan, AKA, Sain-to-hoodle was not listed. Her grave was not located, grave unmarked (no headstone). More research Millie Durgan grave was listed in this cemetery.